eco-positive polypropylene (PP) featured in the interior parts of the Nissan Micra K14. The award will be announced on the 11th April 2019, during the second day of the Plastics Recycling Show Europe taking place at the RAI Amsterdam. Developed with 50 per cent recycled content, this PP compound is the result of a collaboration with its client, Renault-Nissan-Mitsubishi. The aim was to engineer an eco-positive material to help lower the environmental impact of the Nissan Micra K14 to help achieve zero landfill objectives, while still delivering outstanding properties. To satisfy the auto manufacturer’s stringent material requirements, this highly engineered PP compound needed to be lightweight with improved characteristics such as greater fuel efficiencies, lower CO2 emissions and good impact resistance; while still delivering a high scratch-resistant surface finish. This success is just one example of how Luxus thermoplastics innovation is helping achieve environmental goals and differentiation, to deliver competitive advantage to global OEM’s as they make the transition from a linear (make-take-dispose) to a circular economy. UK leading independent technical plastics recycling and compounding company Luxus has been developing highly specified thermoplastics compounds based on prime and recycled feedstocks for over 50 years. Luxus is a key supplier to the major names in the global auto industry and it was the first and still is the only UK business to achieve approval for its recycled grades in car interior trims. Luxus also offers specialist ‘closed loop’ and ‘open loop’ recycling services to manage ‘end of life’ post industrial and consumer waste for the retail transit packaging, construction and local authority wheel bin markets. Louth based technical plastics manufacturer and recycler, Luxus will be looking to fill apprentice lab technician and machine operator vacancies at the inaugural Jobs and Apprenticeships Fair, 9th September 2016, at the Meridian Leisure Centre in Louth, Lincolnshire. 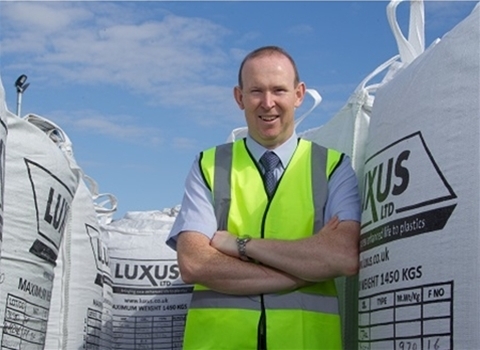 Luxus is a privately owned £25m turnover business with 150 employees; it’s been at the forefront of high performance sustainable thermoplastics development for over 50 years. Its client base includes major automotive manufacturers, Renault-Nissan, Jaguar Land Rover, Ford and BMW. The plastics manufacturer will be looking to fill its SEMTA* apprentice lab technician roles this autumn. Supported by the national Trailblazer Apprenticeship Standards initiative, its apprenticeships provide work based technical training and assessment. Apprentices are expected to complete a Level 3 NVQ Diploma directly relevant to their role with the opportunity to progress to an Advanced Apprenticeship in Engineering. Working in Luxus’ state of the art Technical Centre, lab technicians ensure that its products meet rigorous specifications at each stage of production providing clients with the best possible quality materials and service. Simon Thompson, quality manager at Luxus said: “We’re looking to use the opportunity the new jobs fair provides to get our name out into the local community; to attract new ‘talent’ right across the business to fill future engineering, laboratory and production roles. Skills are vital to the engineering and advance manufacturing sectors such as plastics. According to SEMTA ‘The STEM sector needs 160,000 engineers, scientists and technicians per year by 2020 and 15% of SEMTA’s sector companies have skills gaps’. If you are interested in working for Luxus please join us at the Jobs fair or visit www.Luxus.co.uk or find @LuxusLtd on Facebook. UK leading independent technical plastics recycling and compounding company Luxus has been developing highly specified thermoplastics compounds based on prime and recycled feedstocks for over 50 years. Luxus is a key supplier to the major names in the global auto industry and it was the first and still is the only independent UK business to achieve approval for its recycled grades in car interior trims. Technical compounder and recycler Luxus, has appointed a new business development manager to help expand its UK and export business. Jaume Escoriza joins Luxus based in Louth, Lincolnshire from vacuum excavation company, Vac-Ex where for five years he was a general manager. He was responsible for the company’s design, manufacture and sales division, in addition to its growing export business. In his new role Jaume will build on the compounder’s existing client base that encompasses a diverse range of industries including: automotive; civil engineering; retail logistics; horticulture and safety products. Jaume begins at an exciting time as the compounder’s €1.4m EU Eco-innovation funded project to commercialise its advanced thermoplastics (PP) range, Hycolene™ culminates in January 2017. Luxus is therefore seeking new partnerships with Europe’s automakers that require high performance, light-weighting and enhanced life cycle assessment benefits from their composites. Luxus will also be exploring new and emerging market applications for Hycolene™. Jaume Escoriza explains why he chose Luxus: “I’ve been looking for potential employment in Lincolnshire area; this was the first role that genuinely excited me thanks to a combination of its 51 year pedigree, a strong export focus and being a true leader in its field. For further information please contact Sasha Stewart at Straight Talk PR – email: sasha@straighttalkpr.co.uk or tel: 07764 346 896. Technical compounder Luxus and RocTool the ‘Heat&Cool’ technology specialists, have announced a new joint collaboration ahead of the Plastics Design and Moulding (PDM) exhibition, Telford, 14th-15th June 2016. (Luxus stand, DO10). The Luxus Hycolene™ grade 16818 has been selected as RocTool’s preferred high performance PP resin for use with its rapid inductive heating technology. This decision followed extensive lab trials of Hycolene™ versus a standard prime material. These took place at RocTool’s French headquarters last year and subsequently at Luxus’ in-house Technical Centre in March 2016. RocTool is a pioneer in the very latest in high gloss effects and 3D textures producing a finish that is both premium and unique to satisfy the latest ‘A’ Class surface trends. 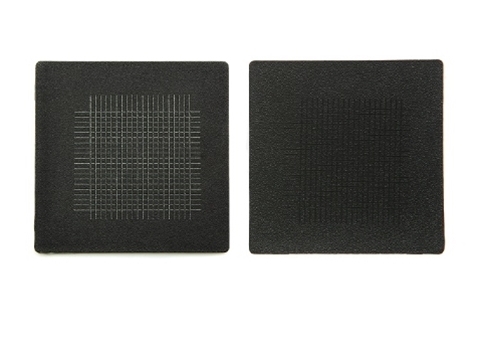 It therefore required a PP resin that could offer high scratch performance. Hycolene™ is going to feature in RocTool’s future marketing to Tier 1 moulders and manufacturers for the first time through specially tailored 3D holographic High Definition Plastics™ samples later this year. Created in 2000, RocTool is a Technology & Manufacturing solutions provider offering Engineering services and systems. RocTool induction process is fully adapted to plastic injection and composite molding, including multiple configurations to fit with tier manufacturers requirements. 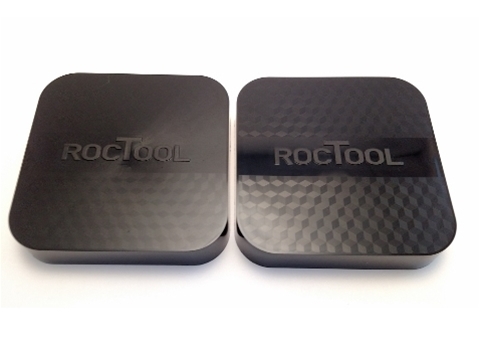 RocTool’s Research and Development team is constantly adapting the technologies to more materials including metal. As a ‘Heat and Cool’ technology leader, RocTool offers now High Definition Plastics™ capabilities to plastic moulders and Light Induction Tooling™ to composite part suppliers. The processes developed by RocTool are used in production by major brands in innovative industries such as automotive, aerospace, consumer products and electronics. They hold many advantages including reduced cycle times, surface quality, light - weighting and performance, therefore resulting in an overall cost reduction of the produced parts for manufacturers. RocTool is listed on the Alternext Paris stock market. Its headquarters and R&D center is situated at Le Bourget du Lac (France). RocTool also has offices and moulding platforms in North America, Japan, Taiwan and Germany. An injected part with Luxus PP resin with RocTool technology. A recent materials validation trial for the development of Luxus’ advanced lightweight, scratch-resistant thermoplastics (PP) range Hycolene™ has shown positive results – demonstrating the composite’s potential to be manufactured at full commercial scale in the future. Two rounds of production tests took place recently, beginning last month at Luxus’ Lincolnshire based in-house Technical Centre and manufacturing plant, followed by further in-depth analysis at injection moulder, IAC’s laboratory. The tests were undertaken on the column shroud and glove box panel – critical ‘A’ grade auto interior components. The aim was to enable Luxus to optimise both the process parameters and the screw design of its bespoke Coperion 15 extruder to explore the potential for the Hycolene range. Luxus technicians worked in collaboration with Coperion’s team varying the critical moulding parameters that help to define the operative ‘envelope’ for the Hycolene grade 16818. The trials concentrated on the following criteria: scratch resistance; weight savings; appearance and cycle time. The Hycolene 16818 achieved a substantial weight saving of up to 4.2% against the market’s current lightweight benchmark material. It also delivered improved colour, diminished weld lines and once again, a rapid cycle time for reduced energy usage. Hycolene is a faster cycling range of scratch resistant, lightweight (PP) compounds that help deliver improved Life Cycle Analysis (LCA), featuring up to 60% recycled content. The range has been developed to target Europe’s automotive interior trim market, by helping to satisfy both ‘end-of-life’ vehicle (ELV) and emissions targets. Luxus announced in 2015, that it had as part of a consortium secured a €1.4m investment, co-funded by the EU Eco-Innovation initiative, part of the EU’s Entrepreneurship and Innovation Programme (EIP). Its members are injection moulding company IAC for materials trials, twin screw manufacturer Coperion for technical support and Jaguar Land Rover offering end user guidance. 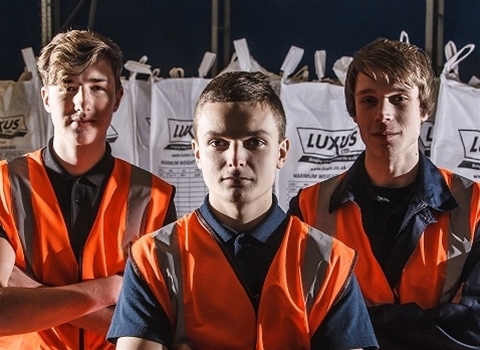 Industry leading technical compounder and recycler, Luxus and its partner plastics piping manufacturer Polypipe have launched a ‘Compounding Polymer Apprenticeship’ scheme to help solve the ‘skills gap’ in the plastics industry. The first group of three apprentice technicians – Callum Ely (16), James Laurence (22) from Luxus and Kamil Ostrowski (22) from Polypipe have begun the new two year multi-site apprenticeship in polymer processing. It is delivered in partnership with training provider, Solutions4Polymers and funded by Cogent. The new scheme is part of the Government’s ‘Trailblazer Apprenticeship Standards’ initiative launched earlier this year. Its aim is to help develop apprenticeships in direct consultation with employers to ensure that training is directly relevant to industry needs. The long standing industry partners, Luxus and Polypipe decided to be ‘early adopters’ of this initiative as there is a genuine lack of apprenticeships and training dedicated to polymer processing - particularly at the sub degree level. The new scheme will offer therefore an effective means of developing the skills of their workforce. 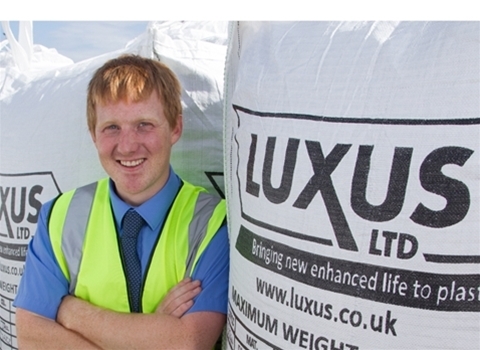 Simon Thompson, Quality Manager at Luxus, comments: “We are really pleased to offer this new scheme to our technicians. It has been widely reported that we are facing a chronic skills shortage in engineering talent in the UK, which is particularly acute in the plastics industry. 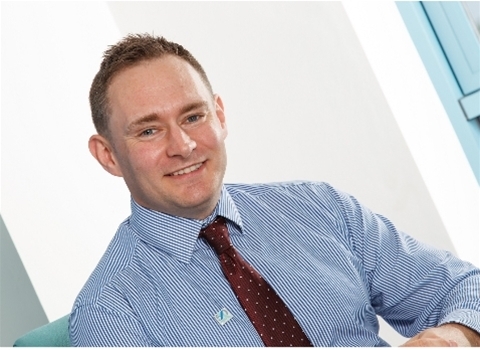 “This partnership with Polypipe will benefit the apprentices from both businesses. They will be able to learn about the various types of thermoplastics and their processing characteristics in our ‘state of the art’ Technical Centre right through to subsequent processes; such as injection moulding to develop the finished pipe component at Polypipe’s Horncastle plant. UK leading independent technical plastics recycling and compounding company Luxus has been developing highly specified thermoplastics compounds based on prime and recycled feedstocks for 50 years. Luxus is a key supplier to the major names in the global auto industry and it was the first and still is the only UK business to achieve approval for its recycled grades in car interior trims. Polypipe is the largest manufacturer in the United Kingdom, and among the ten largest manufacturers in Europe, of plastic pipe systems for the residential, commercial, civils and infrastructure sectors by revenue. We operate from 16 facilities in total, and with over 20,000 product lines, we manufacture the United Kingdom's widest range of plastic piping systems within our target markets. We primarily target the UK, French and Irish building and construction markets with a presence in Italy and the Middle East and sales to specific niches in the rest of the world. Business Development Manager, Jim Ballantyne retires this week after 15 years with leading technical plastics compounder and recycler Luxus. In 2001 Jim Ballantyne joined Luxus from a plastics closure business. He had always been interested in the technical side of things, understanding how things work. This new role was to allow him the scope to explore technological boundaries within a sales role like never before. At the time he was well placed to help spearhead a new era for Luxus which saw the compounder accelerate from supplying entry level black grades to the development of sustainable thermoplastics (PP) to satisfy critical class ‘A’ finish auto components. Jim Ballantyne explains: “We quickly moved from offering colour matched polymer compounds for low level visible interior applications to upper cabin visible interior applications. The challenge was to convince the client that compounds with recycled polymer didn’t mean a problematic product. “To help achieve this technical leap, considerable innovation and consultation with the client was required to deliver a repeatable product with appropriate tensile, impact, scratch resistance and other properties required to meet quality, plus performance standards – all this from a recycled content thermoplastic (PP), not prime. Peter Atterby, Managing Director, Luxus, comments: “Jim has been instrumental in moving Luxus forward into the 21st century as a leading technical compounder. His relationship building skills across varied stake holders in the automotive arena has helped Luxus establish our reputation and credentials as a leading supplier within this challenging sector. For 10 years Jim Ballantyne had sole responsibility for business development across many diverse markets until the sale team inevitably grew. Today, Luxus remains at the forefront of technical innovation with the development of the new Hycolene™ range, which features next generation additives to meet automakers stringent light-weighting and CO2 reduction requirements. As for the future, Jim Ballantyne believes the greatest change to the industry now will be globalisation. “A reducing ‘pool’ of both suppliers and manufacturers means materials specifications are now adopted on a global, not local scale. Automakers can pick up and drop production lines regardless of location. In his retirement Jim Ballantyne will be overseeing his very own ‘grand design’, he will be project managing the development of a brand new home in the centre of Louth.